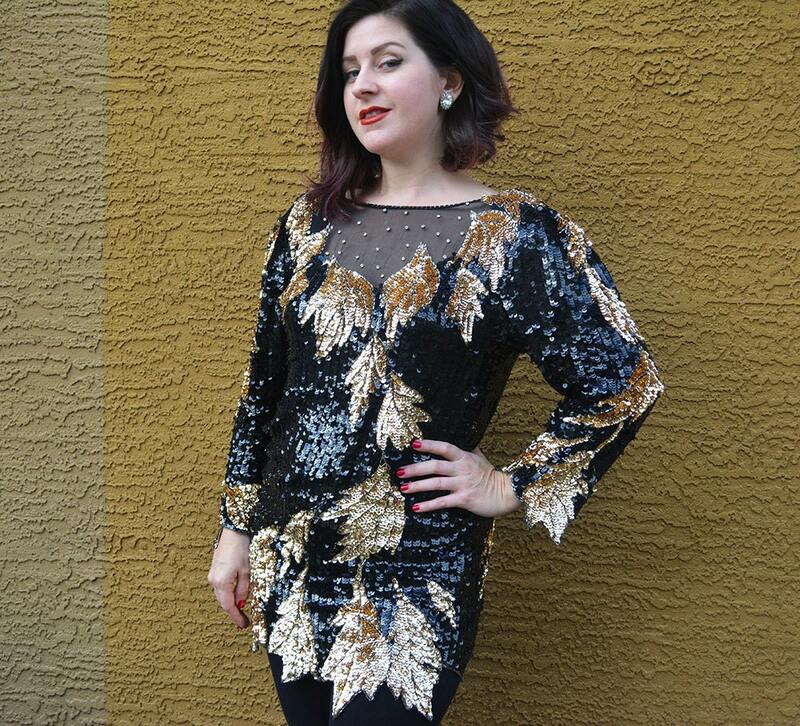 Absolutely stunning Oleg Cassini sequin tunic for sale from the 1980s. This is such a special item. We are just loving this piece on our model Tiffiny. 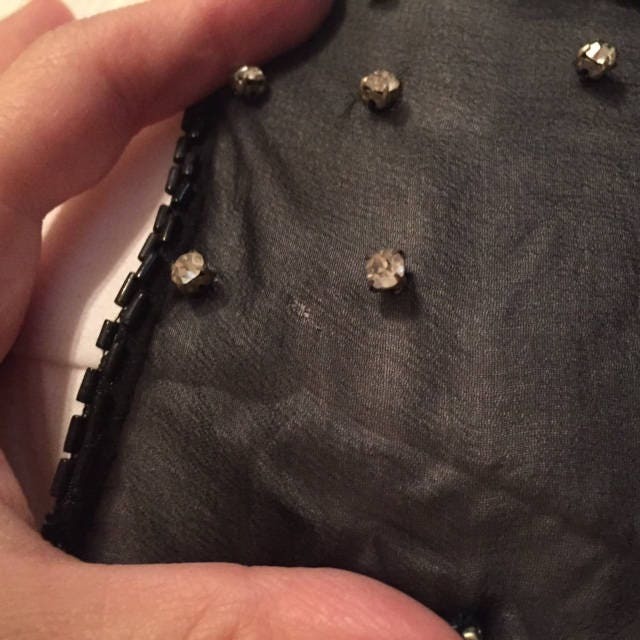 The top of this blouse is sheer with faux diamond rhinestones adorning it. 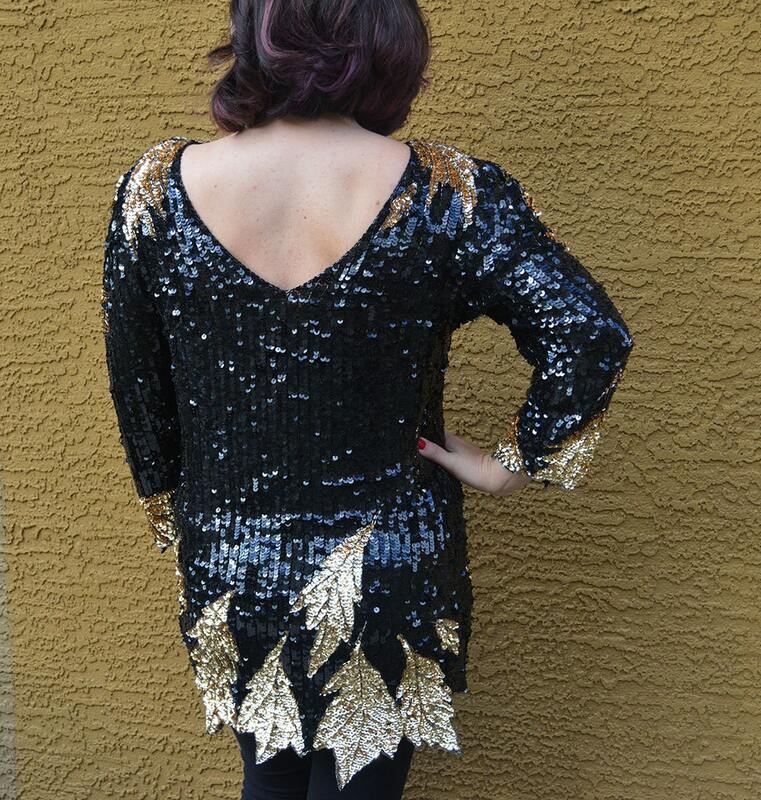 The back cascades into a deep v. This is a long blouse, so we would consider it to be a tunic. It is so striking paired with black slacks and stiletto evening heels. When you wear something like this you gotta go big so we paired it with large rhinestone diamond earrings. 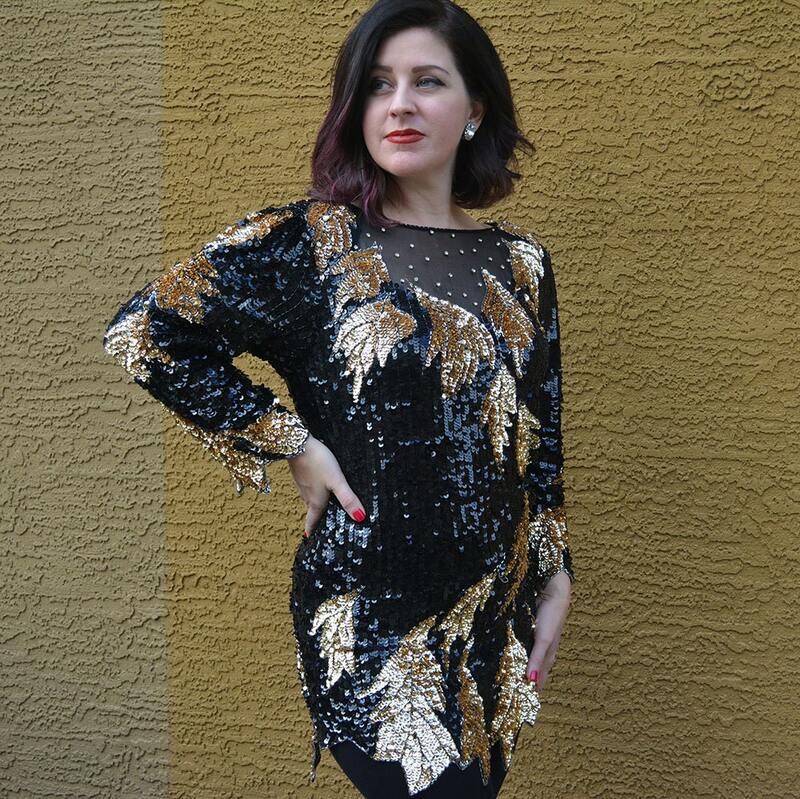 This tunic is in wonderful vintage condition. 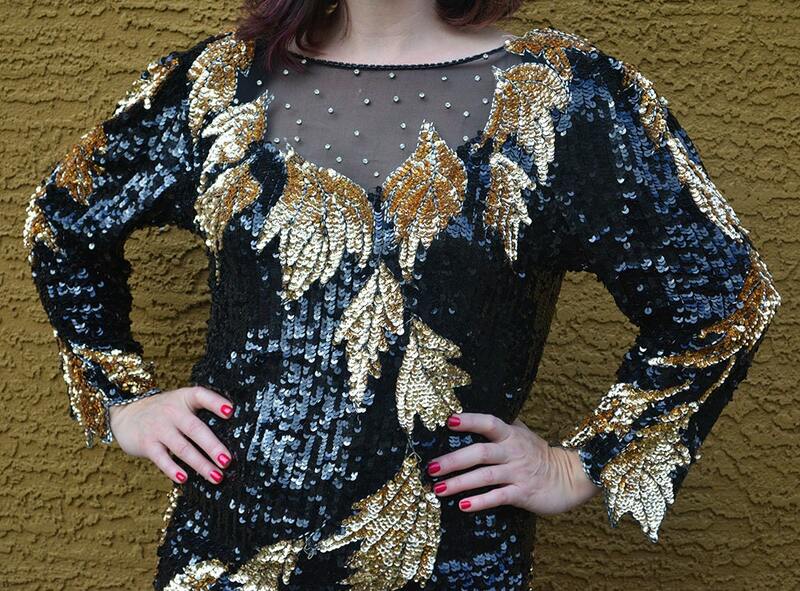 There are a few missing sequins and one tiny flaw in the sheer fabric. We included a photo of this flaw.